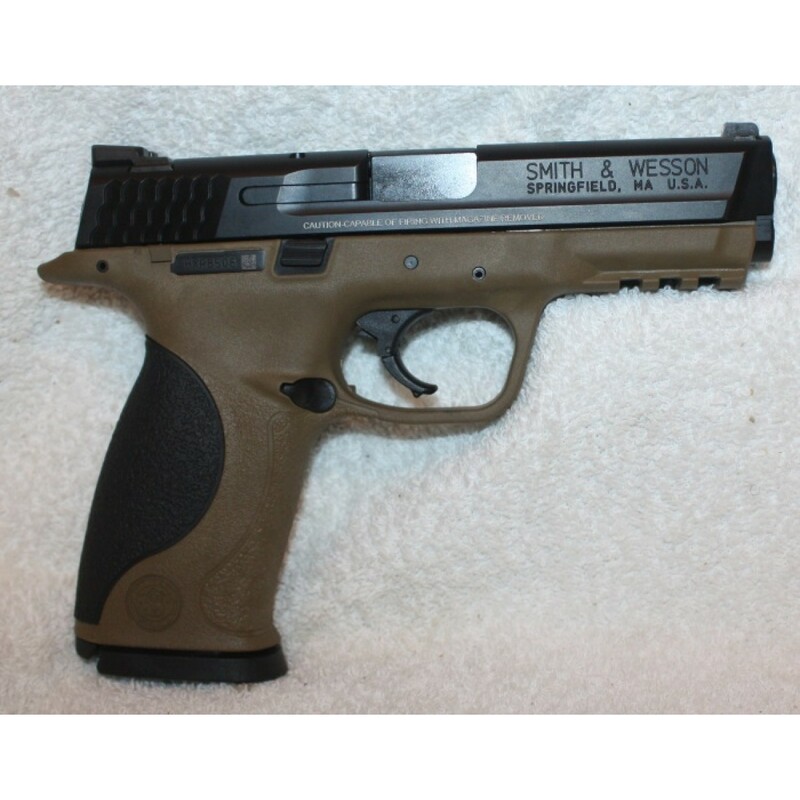 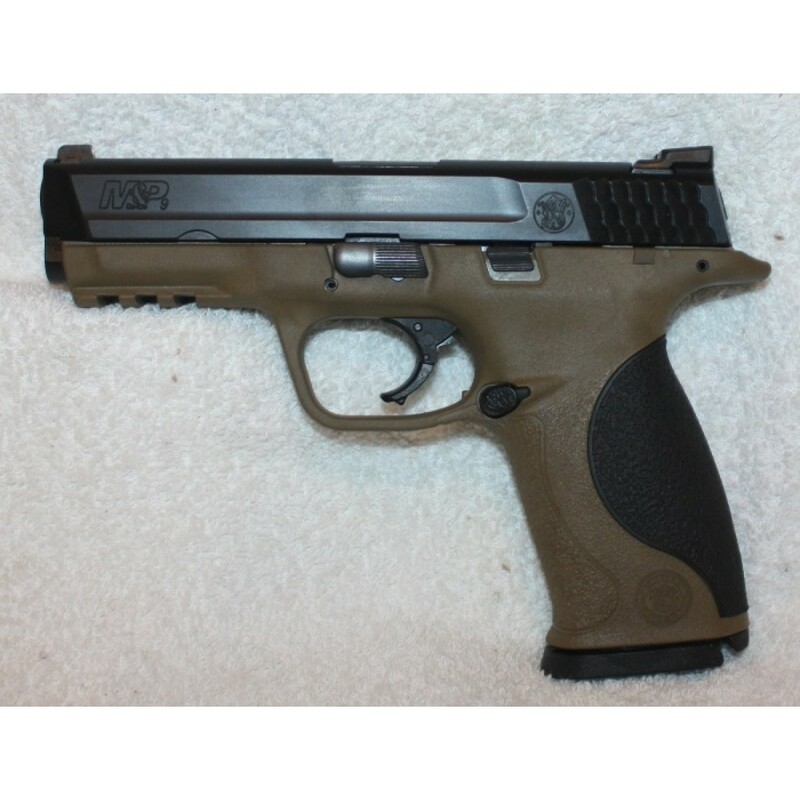 The S&W M&P is a polymer framed, striker fired semi automatic handgun that is used and trusted by thousands of police officers, competitive shooters and others. 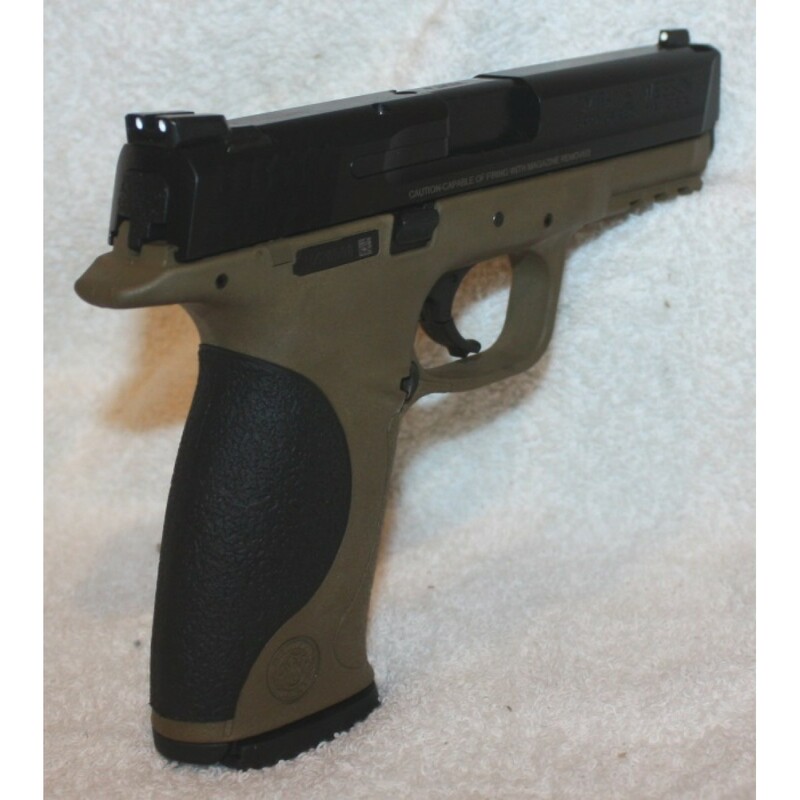 It offers a comfortable, ergonomic feel, superb accuracy and complete reliability. 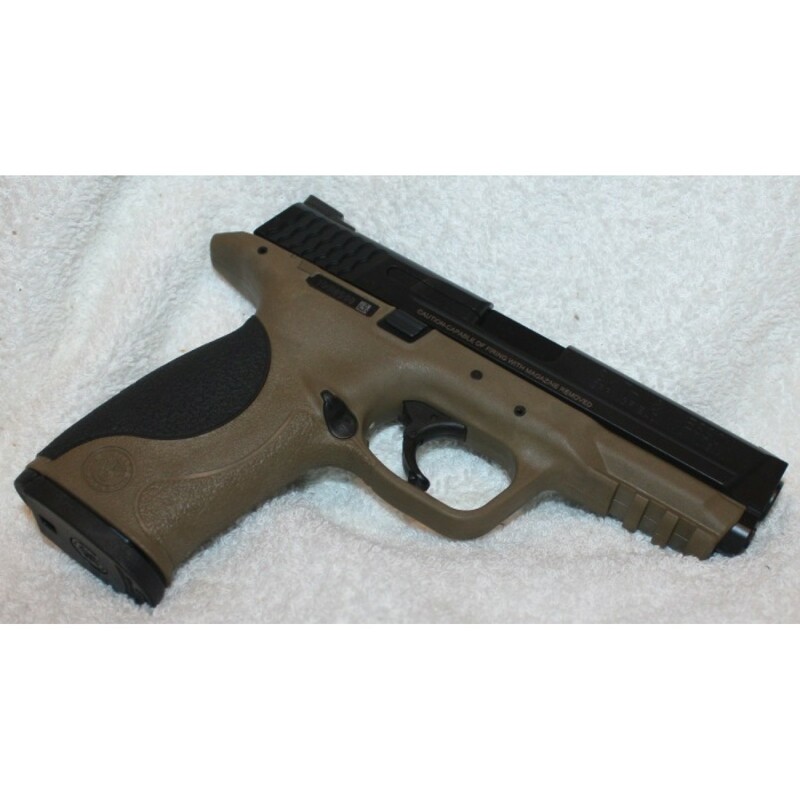 The slide and barrel are stainless steel with a black corrosion resistant finish. This edition has low profile white dot sights and a flat dark earth and black finish on the frame.